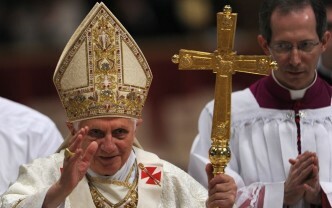 Benedictus PP. 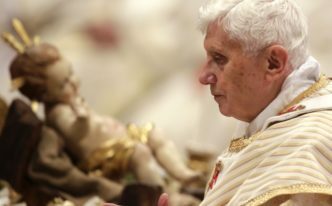 XVI – I komu to przeszkadzało? 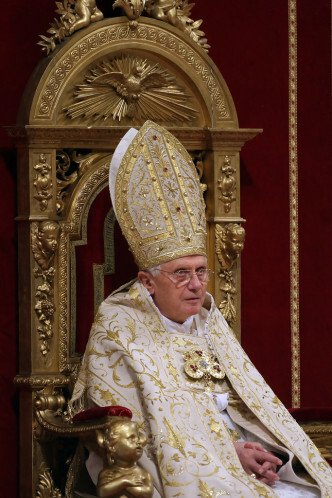 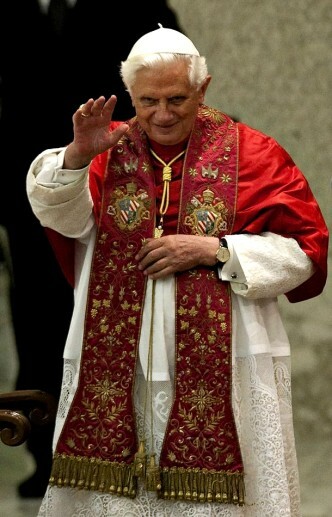 If you are a pope, dress like a pope! 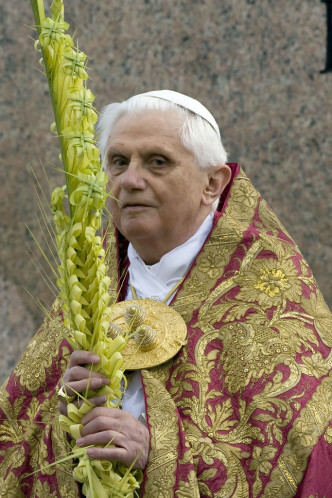 Holy Father Benedict XVI in the summer choir dress during his pilgrimage to Germany. 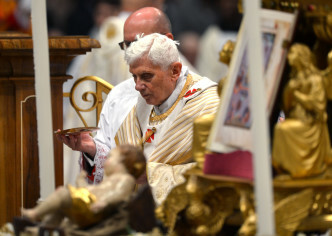 Pope Benedict XVI is kneeling at the faldstool of Leo XIII during the chant of the Litany of the Saints, Epiphany 2012. 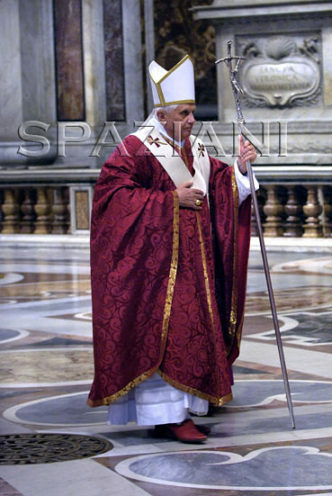 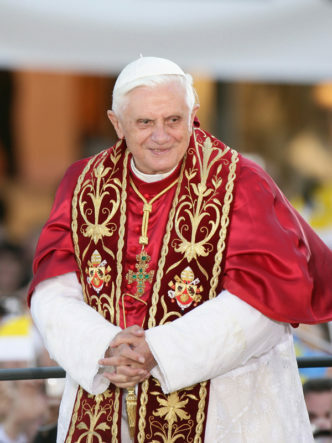 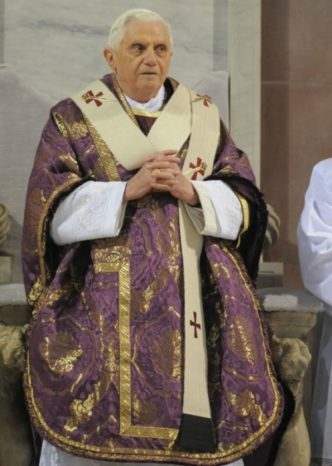 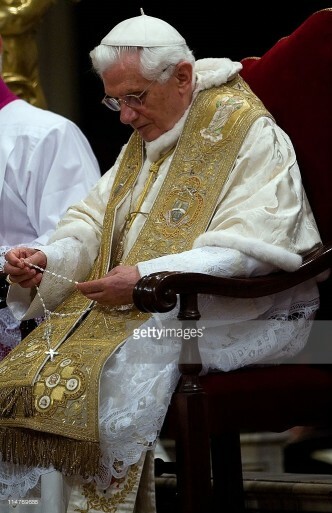 Pope Benedict XVI, dressed in a Paschal choir dress, during the Rosary prayer at St. Mary Major Basilica on May 26, 2011. 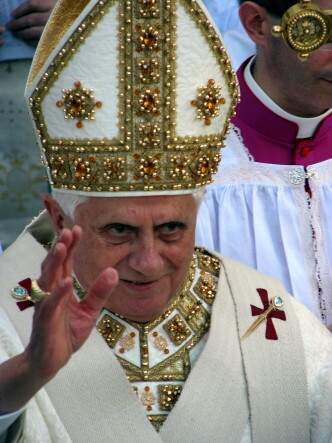 Benedict XVI in Genoa, May 18, 2008. 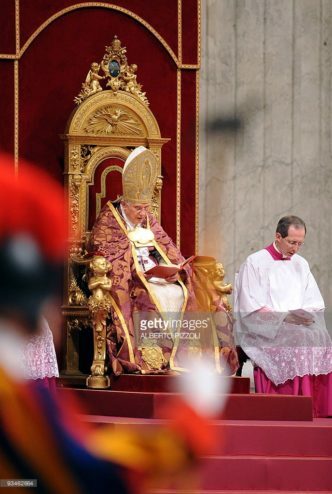 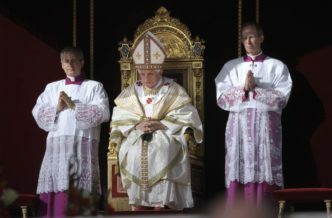 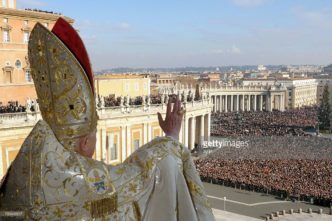 October 21, 2012, Pope Benedict XVI sitting on the throne of Pius IX during the canonization Mass celebrated at St. Peter’s Square. 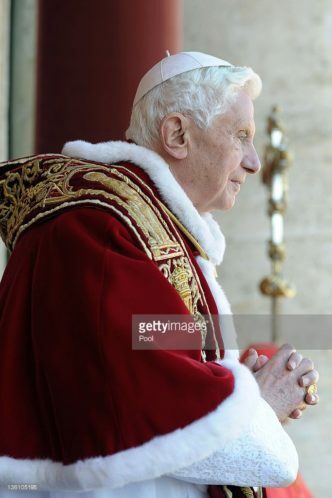 Benedict XVI in the stole of Pius IX during the meeting with Roman students, October 10, 2009. 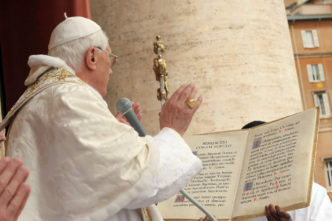 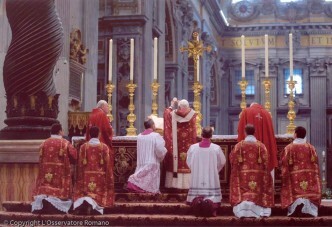 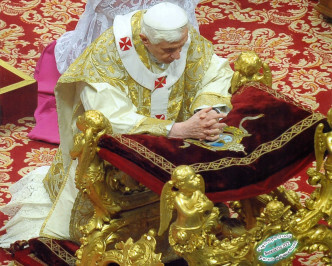 Benedict XVI during the Vespers and the solemn Te Deum at the end of the year of our Lord 2009. 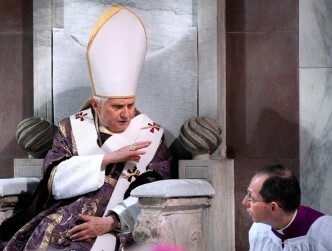 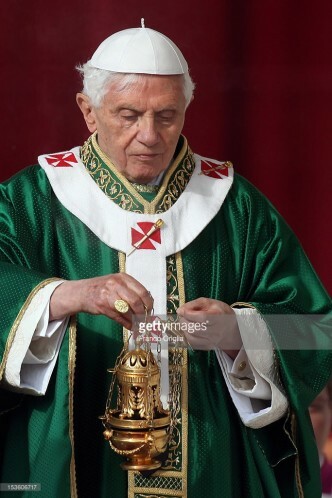 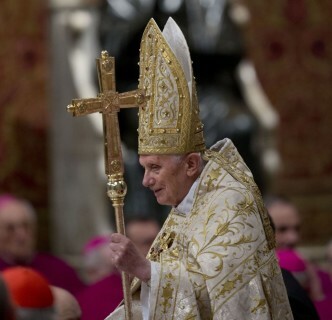 Pope Benedict XVI during the Chrism Mass, Maundy Thursday 2010.